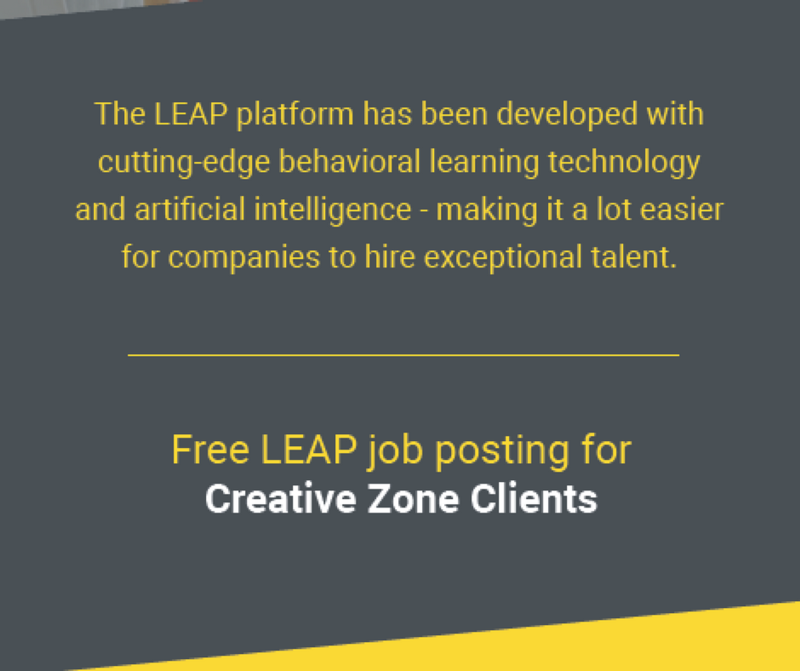 We are excited to announce the addition to our latest clients - LEAP. An HR recruitment company in the UAE which platform has been developed with cutting-edge behavioral learning technology and artificial intelligence making it a lot easier for companies to hire exceptional talents in the UAE. LEAP is the first online career platform that utilises cutting edge AI and Machine Learning technology to match employers with candidates suited to their roles and their company culture – and vice versa. It provides a platform that is easy-to-use, interactive and that would let you inject a little more of your personality into every application – without taking up any extra time. Are you looking to take the step into a new career? LEAP provides a completely free for account sign up. You can build a profile and start exploring the site. The platform will then start getting to know you and will tailor what you see as a default. Any charged services are priced and paid for separately with no hidden charges. Your new career starts here. With the growing number of job opportunities particularly in the marketing, IT, banking, consumer goods and entertainment in the UAE, recruitment activity in the UAE and across MENA is beginning to gain momentum. A study shows that 69% of companies in the country are planning to hire talents over the next 12 months. According to Bayt.com vice president of employer solutions, UAE hiring forecast shows a continuation of a strong job market. To learn more about For HR Consultancy & Recruitment business setup in the UAE, contact us at +9714 567 7333 or live chat with one of our Business Setup Advisors. Schedule an obligation free consultation today.